Business and Entreprenuership – Page 4 – Business: Engaged! Rey Hernandez shares important insights about marketing to the fastest-growing ethnic demographic in the United States on this episode of Business: Engaged! A Nielsen study found that if U.S. Hispanics were a stand-alone country, their market buying power would be one of the top twenty economies in the world. They are highly likely to accumulate wealth and have significant buying power. Have I’ve got your attention? 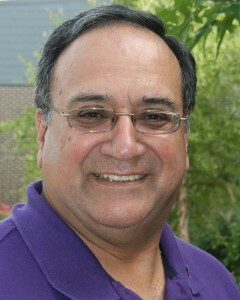 Our guest on this episode is marketing specialist Rey Hernandez. He explains the nuances of the Hispanic customer base. He shares secrets for creating culturally relevant marketing plans that will become increasingly critical as the population becomes more diverse and the buying power of U.S. Hispanics becomes even more significant. I share some information from a couple of great internet articles on the topic too. The Nielsen company recently released a report called the “State of the Hispanic Consumer: The Hispanic Market Imperative.” Forbes magazine also ran a recent article on the topic entitled “Don’t Sell to Me! Hispanics Buy Brands that Empower Their Cultural Relevancy.” Both are excellent resources on the topic. You should check them out. Browse our website to listen to our past episodes. You can connect with us on Twitter at @businessengaged and Facebook. We love it when you tell others about the show so take a minute and post this link for your Facebook friends or Twitter followers. Episode airs on Wednesday, August 21, 2013 at 9:00 p.m. CST. Click here to listen to other episodes of Business: Engaged! * If the show stops playing while you are listening, consider clicking on the Play in Your Default Player link under the audio window. This is an encore presentation of Episode 11. The episode aired originally July 2, 2012. Click here to check out past episodes. You can follow the show on Twitter at @businessengaged too. Be sure to LIKE our Facebook page so you’ll find out when the next show airs. Click here to go there. We love it when you tell others about the show so take a minute and post this link for your Facebook friends or Twitter followers. 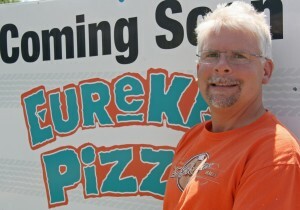 Rolf Wilkin of Eureka Pizza talks about discovering that staying local was the perfect approach for his pizza chain. Over twenty years, Eureka Pizza has earned its place as Arkansas’ leading independent pizzeria. Owner Rolf Wilkin today is keeping it local with his nine Northwest Arkansas pizza shops. He talks about the journey to expand and shares his insights. He’ll be the first to tell you that massive growth doesn’t always mean more profit, or, more importantly, quality of life. Rolf has always believed in shameless self-promotion. From standing on street corners shaking signs to recording his own pizza commercials to engaging with followers on Twitter, he’s the face of Eureka Pizza. We aren’t just buying a pizza, we’re doing business with Rolf. And like any serial entrepreneur, Rolf also has lots to say about his newest business, Local Trade Partners. This trade bank is nationally affiliated but he understands that what local business owners really want is to do business with other local business owners. We talk about why his local approach works for the barter network members. Episode airs on Monday, July 15, 2013 at 3:30 p.m. CST. Click on the player below to listen to this episode. This is an encore presentation of Episode 10. The episode aired originally June 25, 2012. In this episode of Business: Engaged!, Kent Rylee and Stephanie Orman talk about what it took to reinvent the new car dealership after the economy forced a change in the way General Motors did business. It was 2008 and the writing was on the wall: Kent Rylee’s 20-year business relationship with General Motors was about to change forever. He was faced with many options. Instead, he chose to reinvent his business. While other car dealers faced with the same dilemma were closing their doors, he took a long look at what they could do with the facility, employees, and reputation they had. What emerged was Kent Rylee Automotive Solutions, a local Napa Auto parts dealer with a full service center that sells used cars. Join us as we talk with Kent Rylee and his marketing director Stephanie Orman as they share key steps they took in reinventing and rebranding the business. The name change was a minor detail. The major work was in operations and marketing of the company. With an experienced and highly skilled support and technical staff, Kent and his business partner Darrell Bone worked on streamlining the company, developing the auto parts business, and evolving the used car operation. Gone were the co-op dollars that manufacturers and franchises provide to assist with advertising costs. And at the same time, how people shopped for used cars was changing. Stephanie had to look for guerrilla marketing techniques that would fit her reduced advertising budget and reach all the customers who shop for cars today on the internet. You’ll learn the details of how they used focus groups to engage their existing customers and how the management team and the employees stepped up to re-launch this business. Episode airs on Monday, July 22, 2013 at 10:00 a.m. CST. This is an encore presentation of Episode 9. The episode aired originally June 18, 2012. Beth Cook shares insights about her 23 years as a retail shop owner and her recent decision for close her business. She also shares wisdom she’s gained along the way in managing people and engaging customers. No business owner starts out with any thought of closing his business. The dirty little secret in business is that every company has a life span, no matter what size or format. Products change. Customer needs evolve. Life moves on. Owners need to stay close to shifting conditions and be ready to make tough decisions. In this episode, we chat with Beth Cook, former owner of B Larue gift shop. She’s built her retail shops from the ground up, determining format and sourcing all merchandise. She even transitioned her last store to carrying all American-made merchandise, a ground-breaking decision in the industry. After a twenty-year love affair with retail, she recently decided it was over — at least the prospect of owning her own store. She shares her journey in making that tough decision to close her business but she also gives us some wisdom that applies to any business. No matter what kind of business you own, you’ll love her honesty and how she’s set her sights on the next unknown chapter in her life. She’s locked one door for the final time and is preparing to walk through a new one. Join us as she reflects on what she has learned and the factors that she considered in making the decision. You can follow us on Twitter at @businessengaged. Better yet, stop and share the link for this show with your Facebook friends and Twitter followers. That way, everyone will know when the next show is posted. Episode airs on Monday, June 24, 2013 at 9:00 a.m. CST. This is an encore presentation of Episode 7. The episode aired originally June 4, 2012. Pete Rathmell, former SCORE chapter chair and volunteer counselor, talks about the benefits of SCORE mentoring to the small business community. Have you ever wondered where to go when you have questions about that next step or even the first step in business ownership? Maybe you’ve been looking for a place to volunteer your time and your passion is working with entrepreneurs. SCORE might just be the answer for both. Many entrepreneurs turn to SCORE for advice. SCORE is a volunteer organization funded by the U.S. Small Business Administration that provides free small business advice. I spent six years with the organization as a counselor although today they would refer to us as mentors. If you are familiar with SCORE, you might remember that SCORE was an acronym for Service Corps of Retired Executives. Their tag line in recent years was Counselors to America’s Small Business. On this episode of Business: Engaged!, I take a walk down memory lane with fellow former SCORE mentor and good friend, Pete Rathmell. He was with SCORE for ten years and served as a chapter chair for Northwest Arkansas’ top-ranked local chapter. We share the struggles and thrills of mentoring small business owners who were standing on the threshold of the most challenging experience of their lives.SCORE is a great resource for start-ups but it is also a great source of advice for all phases of your business. If you’d like to learn more about SCORE and get a mentor for yourself, visit their website at SCORE.org. You can locate a SCORE chapter near you to get a mentor you can meet with face-to-face or sign up for e-mail mentoring. And the new generation of SCORE fully utilizes social media so connect with them via Facebook, Twitter, and YouTube. You can find their social media links at their website. Episode airs on Wednesday, June 19, 2013 at 8:00 a.m. CST. This is an encore presentation of Episode 6. The episode aired originally May 28, 2012. 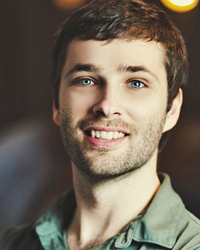 Josh Clemence talks about how co-working is changing the way entrepreneurs work. The internet and technology advances have changed the way we start up our businesses. It has changed where and how we work and how we connect to others. In this episode of Business: Engaged!, we talk about the concept of co-working. Never heard of it? I bet you’ve wished for it. Entrepreneurship advocate Josh Clemence tells us how co-working sets the stage for a thriving start up. Without Josh, the Iceberg co-working facility and the Northwest Arkansas Entrepreneurship Alliance would not be helping others make their ideas reality. At the time of the original interview, this architecture grad turned tech entrepreneur was the brand manager for Acumen Brands, an e-commerce company located in Fayetteville, Arkansas. Founded in 2009, the company operates twelve separate online stores in twelve different niche categories and has seventy employees. Since then, Josh has launched his own start-up. BLKBOXLabs provides creative, communication, and technology integration services. Episode airs on Tuesday, June 11, 2013 at 10:00 a.m. CST. This is an encore presentation of Episode 5. The episode aired originally May 21, 2012. Host Carrie Perrien Smith welcomes Barbara Taylor of Synergy Business Services to Business: Engaged! to talk about business valuation. Business valuation isn’t just used when selling your business. It can serve as a periodic checkup. You’ll see the process used to estimate the value of a partners’ ownership and in retirement planning. It is necessary in disputes related to estate value and divorce litigation. This show explores the topic and includes important information such as factors that affect value and different approaches to valuation. Click here to learn more about Synergy Business Services. You can also follow Barbara on Twitter at @synergybiznwa. Click here to see Barbara’s blog posts on You’re the Boss: The Art of Running a Small Business. Episode airs on Saturday, March 30, 2013 at 8:00 a.m. CST. This is an encore presentation of Episode 4. The episode aired originally May 14, 2012. 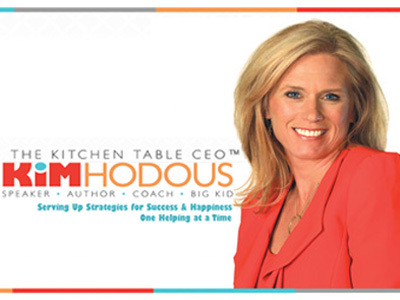 We welcome Kim Hodous, author of Show Up, Be Bold, Play Big: 33 Strategies for Outrageous Success and Lasting Happiness from a Former Stay-at-Home Mom Who Built a 7-Figure Business from Her Kitchen Table. Join us to learn the secret to balancing a growing family with a growing business and hiring the right people. As a former high school history teacher, Kim Hodous, the founder and CEO of Rockwood Jewelry, had zero business experience. But from her kitchen table, she built a seven-figure business in less than seven years.Her jewelry designs have appeared in over ten million catalogs and her work was recognized in 2007 when she was inducted into the Arkansas Small Business Hall of Fame. Kim believes that how you show up in every situation sets the stage for the impact you make with those around you. With humor and insight, Kim shares some of her secrets for success. 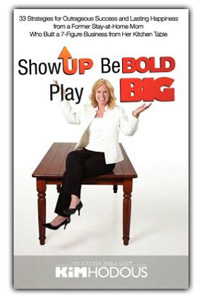 Her book is called Show Up, Be Bold, Play Big: 33 Strategies for Outrageous Success and Lasting Happiness from a Former Stay-at-Home Mom Who Built a 7-Figure Business from Her Kitchen Table. Episode airs on Thursday, April 16, 2013 at 10:00 a.m. CST. This is an encore presentation of Episode 1. The episode aired originally April 23, 2012. Carrie ran screaming from her corporate training and communications career over a decade ago. Even though she sometimes misses regular paychecks, a cubicle with office supplies she didn’t have to purchase, and normal working hours, she wouldn’t trade the entrepreneur’s kill-what-you-eat lifestyle (most days, at least). On Business: Engaged!, we talk about topics that determine success for serious business owners.